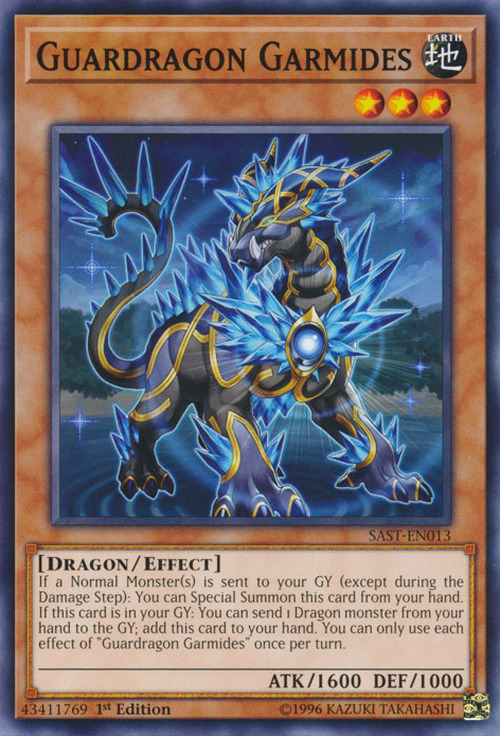 If a Normal Monster(s) is sent to your GY (except during the Damage Step): You can Special Summon this card from your hand. 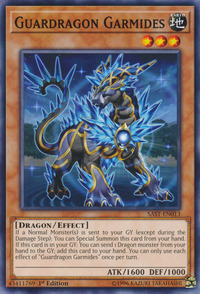 If this card is in your GY: You can send 1 Dragon monster from your hand to the GY; add this card to your hand. You can only use each effect of “Guardragon Garmides” once per turn.